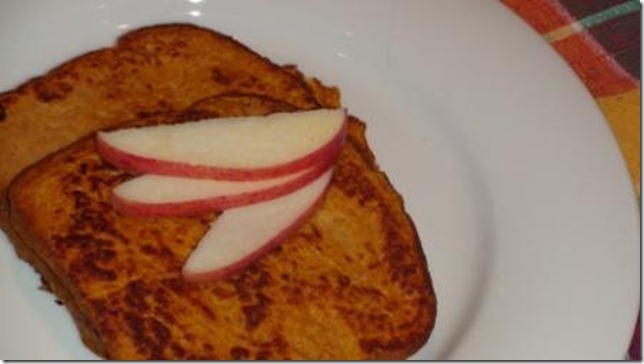 I love breakfast – it has always been one of my favorite meals. I also have a weakness for French toast. 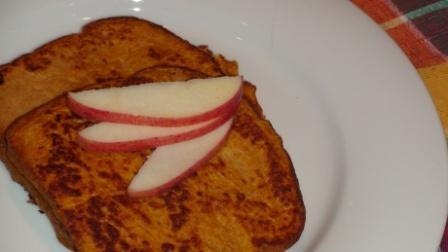 Maybe it was because my mom would make it for us often when I was growing up – even on hectic school mornings she would make French toast for us if asked. 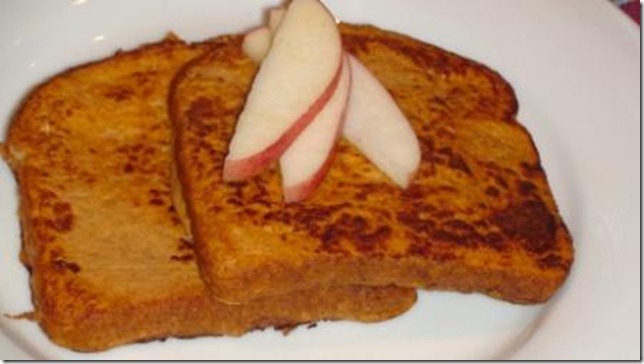 So imagine my delight when I was reading through blog posts this past week and saw someone come up with the idea for Pumpkin French Toast. I also love pumpkin so the combination has to be delicious. This morning I was awakened quite early by my son. I figured it was just as good of a morning as any for Pumpkin French Toast. I don’t’ remember where I saw the original recipe, so I decided to wing it, and I must say the results are scrumptious. The whole family loved it! This one is a keeper! 1. Heat a large skillet over medium high heat with oil or cooking spray. 2. Mix together all of the ingredients, except the bread, in a shallow dish. 3. Dip the bread in the batter to cover each side and place in the pan. Cook until browned on each side. *I probably could have used more milk to thin the batter some more and gotten 8 pieces out of it , but I was rather happy with how it turned out. Enjoy!! What are some of your other favorite pumpkin recipes?